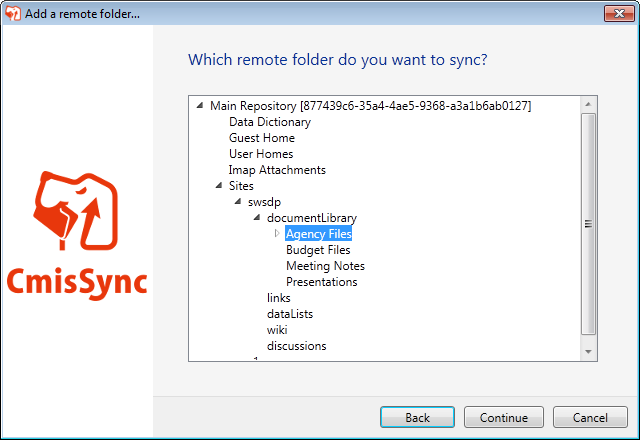 Dropbox-like sync for your company's file server! Need to read a report in the plane? Need to check the price list while in your client's no-network meeting room? → No problem, the latest files are on your laptop already. As a bonus, documents open faster, no network latency. It is like Dropbox for Enterprise Content Management! You already have a file server, keep using it. Duplication=versioning nightmare. Dropbox does not integrate well with on-site solutions. Don't trust a third-party with your confidential information. CmisSync is Open Source, get involved! 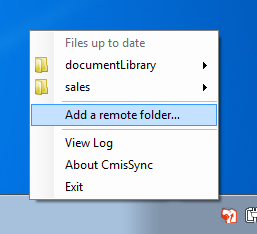 CmisSync is Open Source software and licensed under the GNU-GPLv3. You are welcome to change and redistribute it, see the license for details. 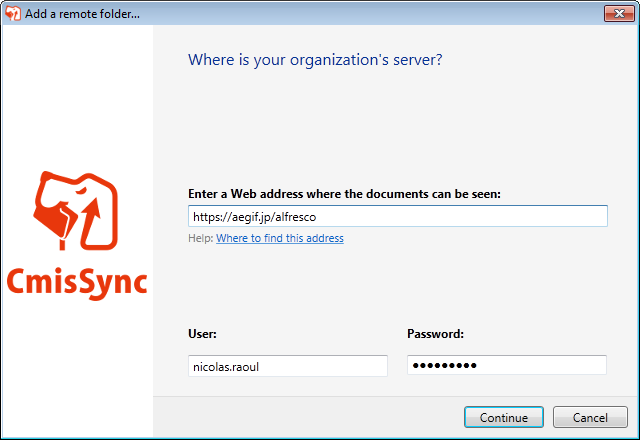 CmisSync is mostly developed by Aegif, but all contributions are welcome! Developers: Get the source and choose from the issue tracker, thanks a lot! Anyone: Translate CmisSync into your language. CMIS (Content Management Interoperability Services) is an OASIS standard that allows any ECM client to communicate with any ECM repository (a bit like the HTML standard allows all web browsers to communicate with all web servers). CMIS is backed by all major content management vendors, and is supported by the following ECM servers: Alfresco, OpenText Documentum, IBM FileNet, IBM Lotus, eXo Platform, Interwoven, KnowledgeTree, Magnolia, Microsoft SharePoint, NemakiWare, Nuxeo, OpenText and many others.